The Earth receives more energy from the Sun in one hour than the whole World uses in a whole year. Time to tap into that. Solar power is used to power everything from calculators to Coast Guard buoys to highway signs to the International Space Station. You have read Are Solar Panels for me? 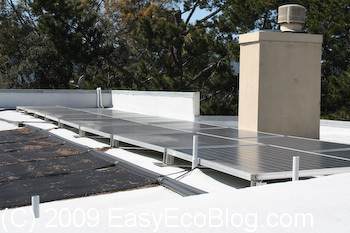 and Solar Panel Installation – Planning and are ready for more details. Photovoltaic Solar panels were invented at Bell Labs in 1953. They have evolved over the years and several different types of solar panels exist, and choosing between then is confusing. No one vendor will have access to all products, so you will have to do some shopping around to find the best solar panels.